Tritons are combat masters of the sea. 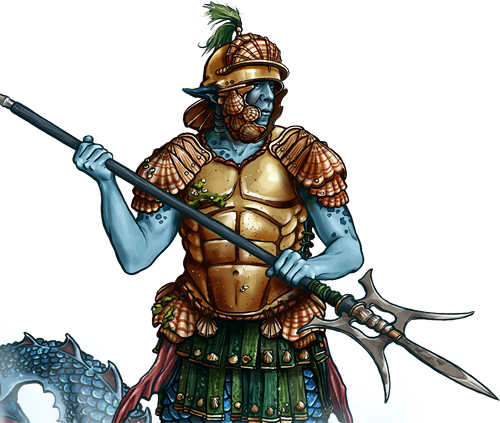 Skilled in use of the trident, Tritons easily defeat any enemy foolish enough to wander into their preferred environment. Last updated on Fri Apr 20 11:51:38 2018.